Descendant of a long line of Alabama settlers and Confederate soldiers, Tito Perdue, the problematic author of Morning Crafts and other novels dwells on a small farm that has come down to him from an ancestor who served under Andrew Jackson in the Battle of New Orleans. 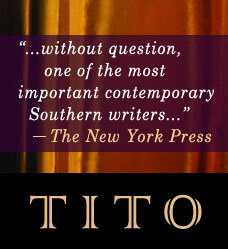 A foreign policy isolationist and cultural reactionary, Tito has produced fifteen novels over the past 25 years. In recent months, against his better judgment, he has made appearances at book festivals in Nashville, Columbia, Montgomery, Little Rock and other kindred locations in the profound South. 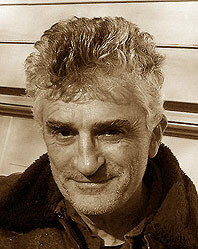 He expects to have to make further appearances in hopes of appeasing the anticipated demand of his future readers. Site design © & maintenance by xuni.com. All content © 2009-2019, Tito Perdue.